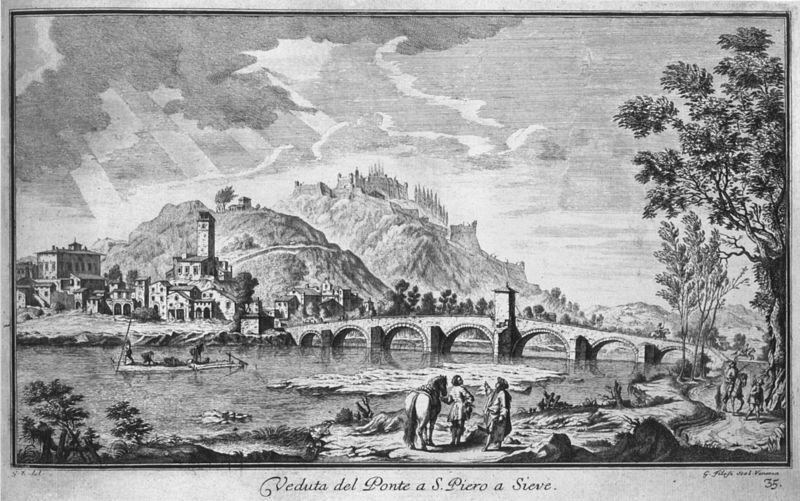 Twenty km north of Florence, San Piero a Sieve is a modern yet somnolescent little town in the shadow of a mighty Medici citadel, the Fortezza di San Martino, designed by Bernardo Buontalenti in 1571. Its Romanesque Piève, with a façade from 1776, contains an octagonal baptismal font in polychrome terracotta by Luca della Robbia. Just west is the Villa Medicea di Cafaggiolo. To the east, a minor road leads up to the wooded Bosco ai Frati, with a simple porticoed church of San Francesco by Michelozzo, his first commission from Cosimo il Vecchio around 1427. 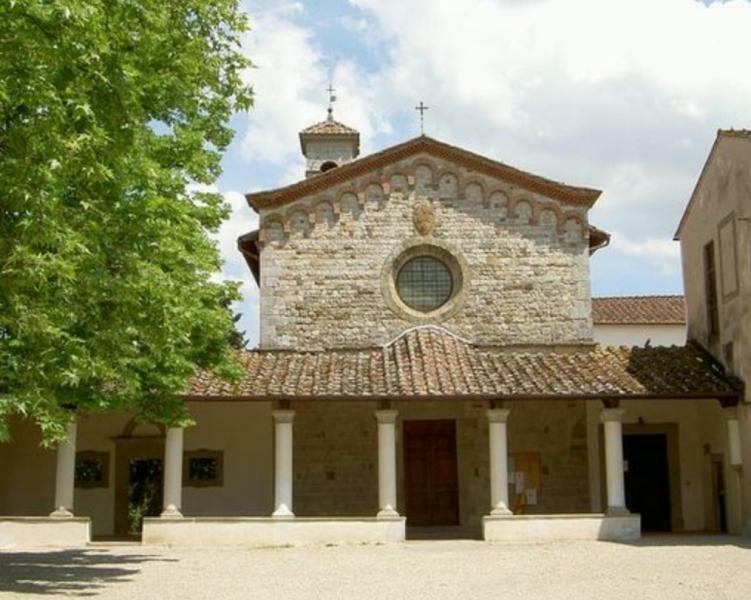 It's a delight; this most urban and urbane of architects, tasked with building a simple country church, gave the Medici something that was strikingly sharp and modern for its day, yet true to the rustic Tuscan traditions. Inside there’s a fine crucifix by Donatello, and another attributed to Desiderio da Settignano. Beyond Cafaggiolo is the huge artificial Lago di Bilancino. The lake, behind a dam that controls the water of the Sieve river, occupies nearly five square kilometres; oddly it occupies the site of a lost prehistoric lake that was several times bigger. There are water sports available: sailing, windsurfing, fishing and canoeing, as well as a nature reserve, the Oasi del Gabbinello, home to cranes, storks and the occasional lost flamingo.